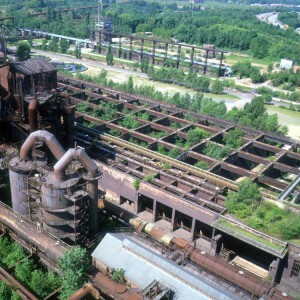 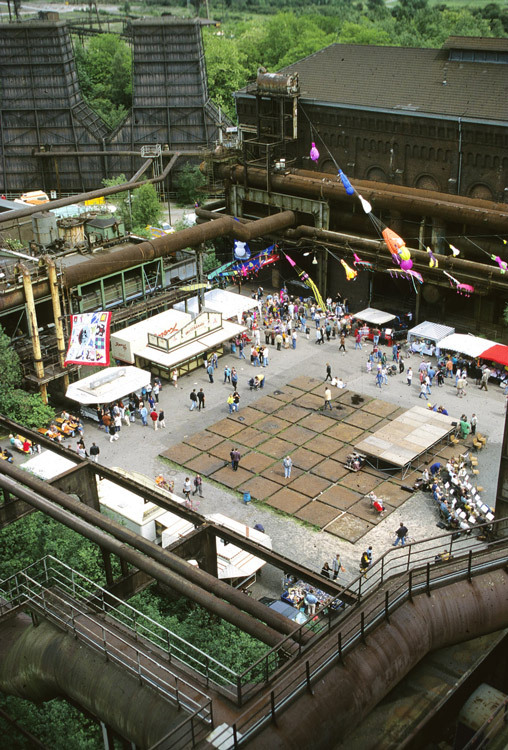 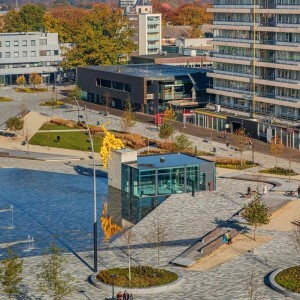 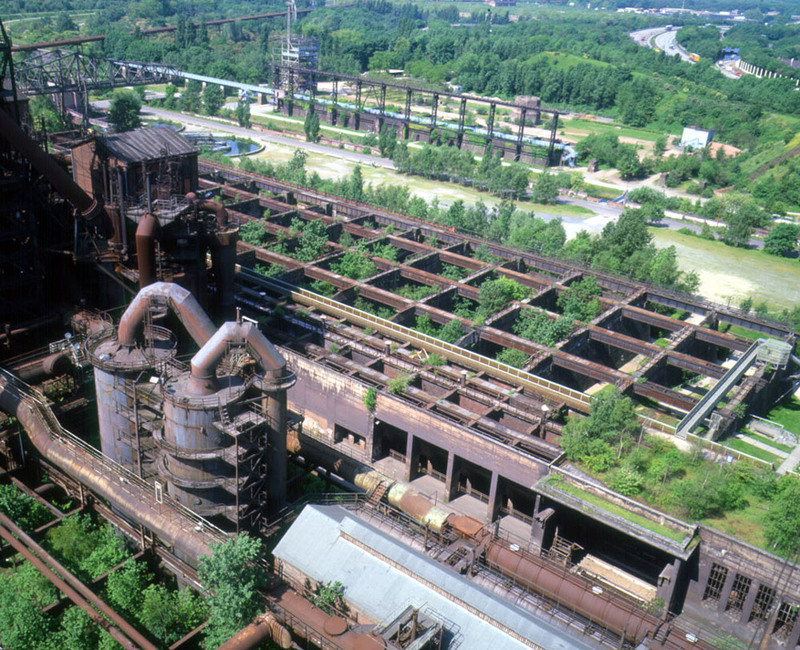 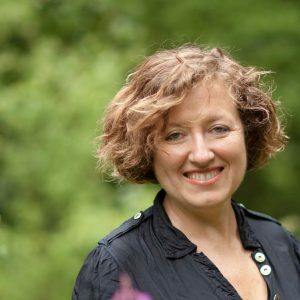 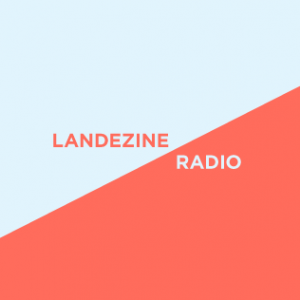 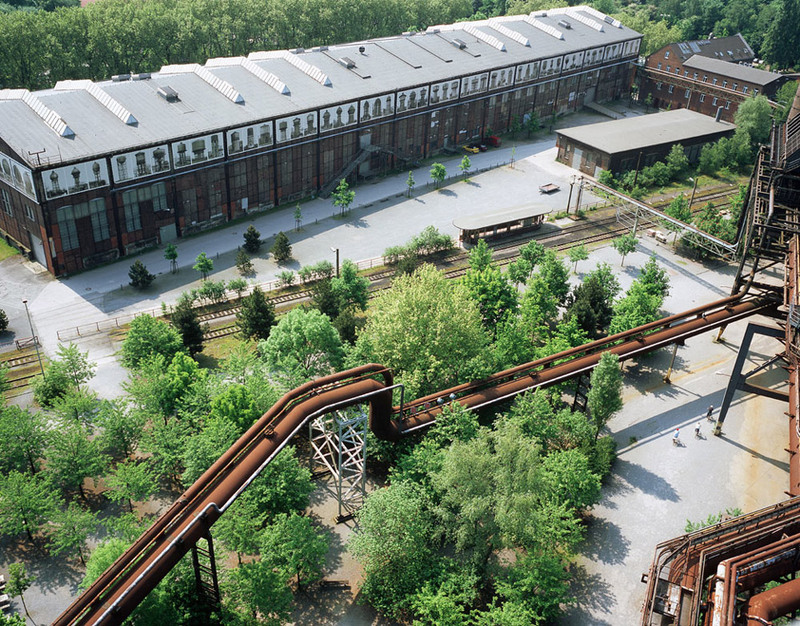 Latz + Partner: With some 100 projects, the International Building Exhibition Emscher Park (IBA) in the Ruhr District was attempting to set quality building and planning standards for the environmental, economic and social transformation of an old industrialised region. 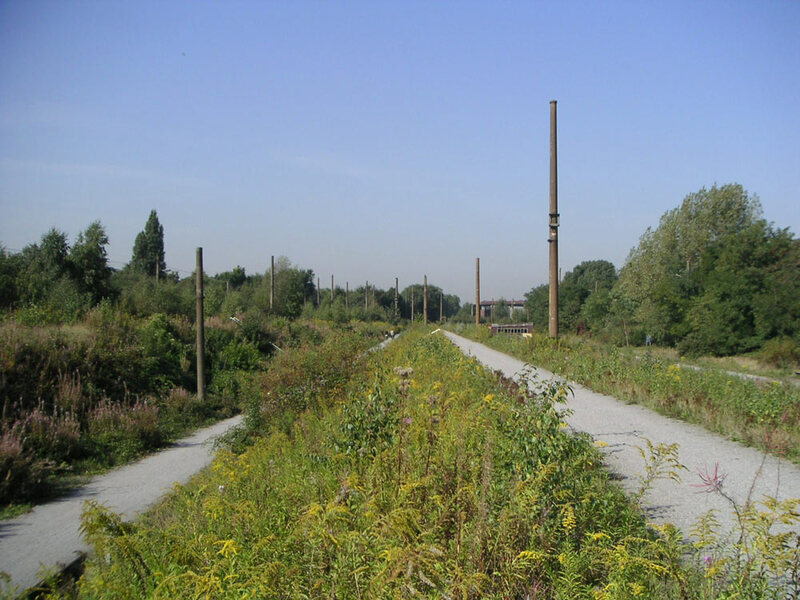 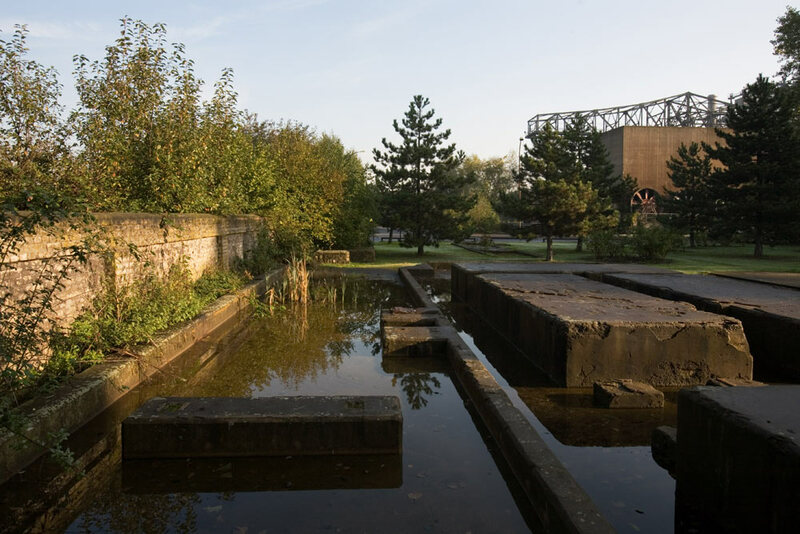 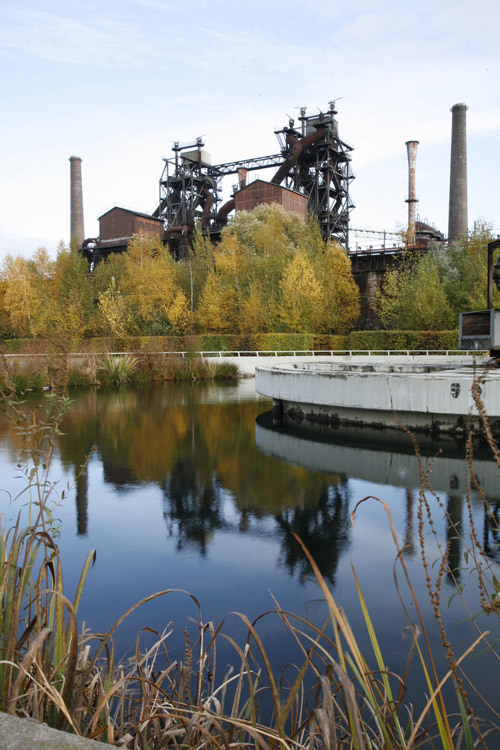 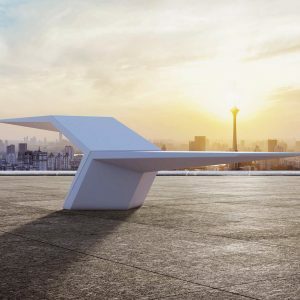 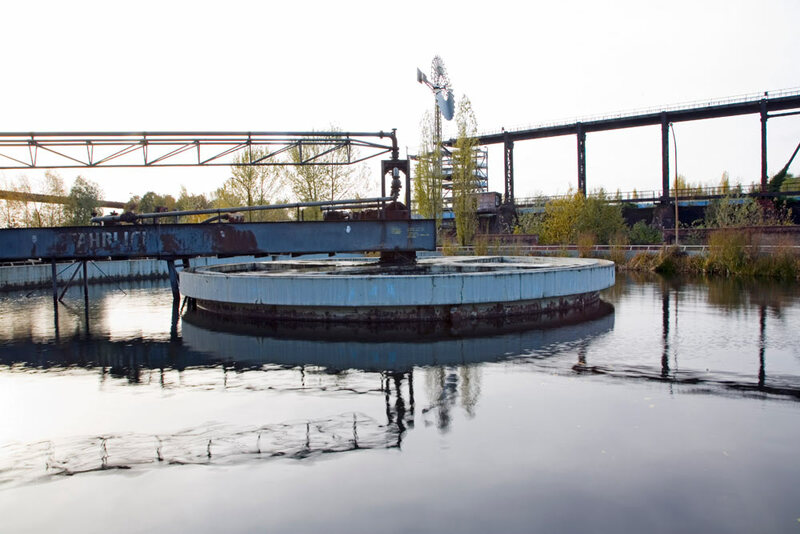 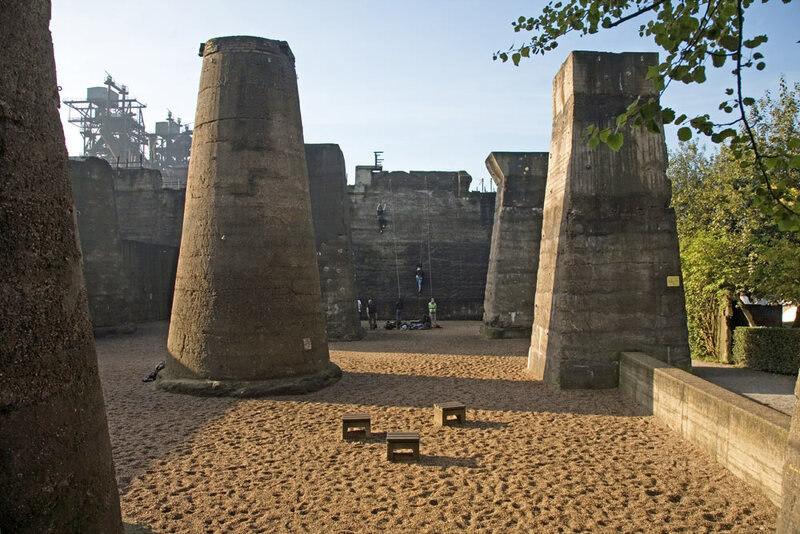 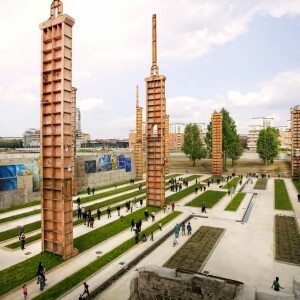 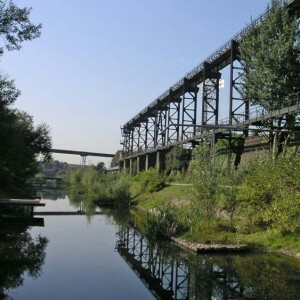 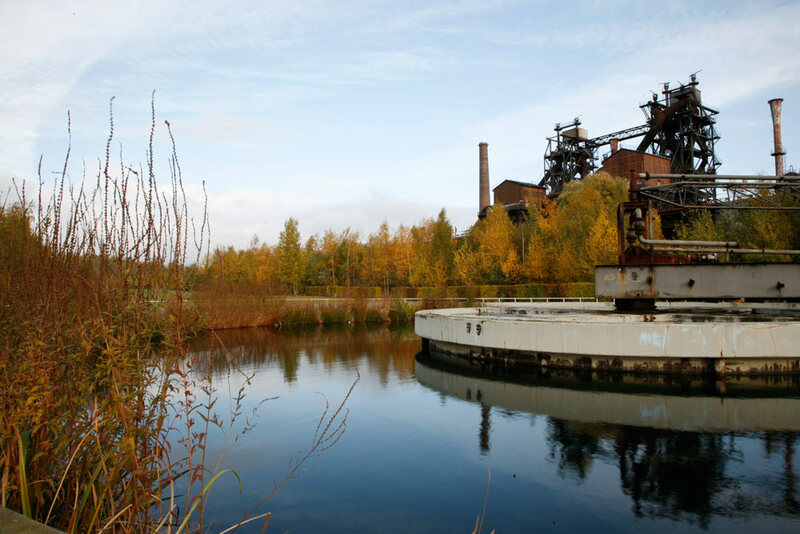 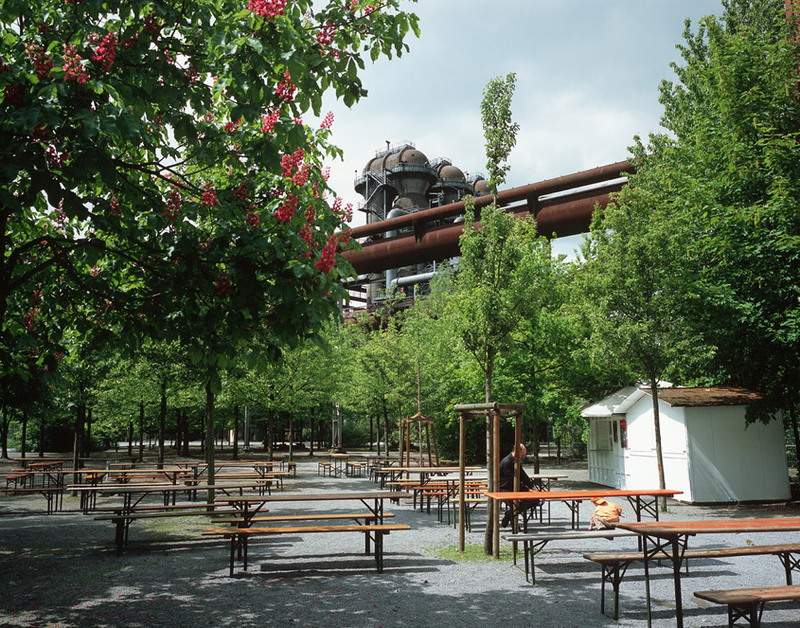 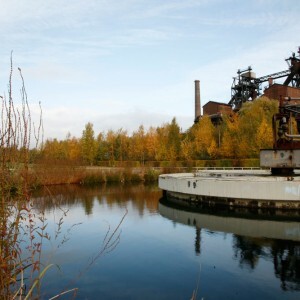 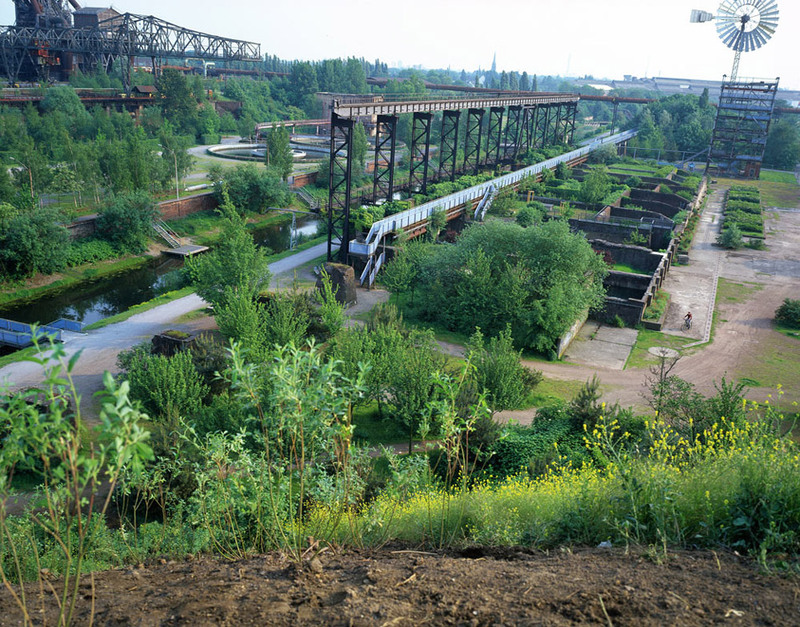 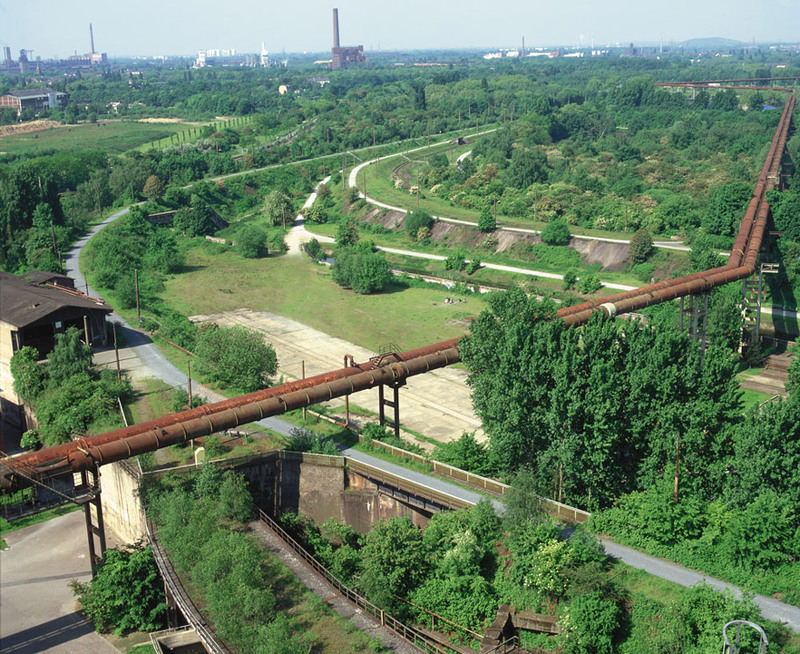 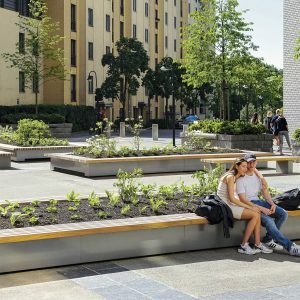 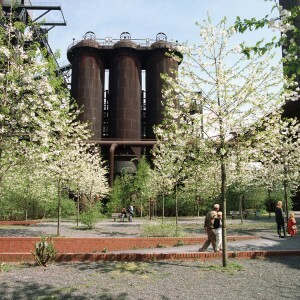 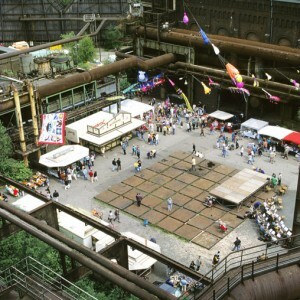 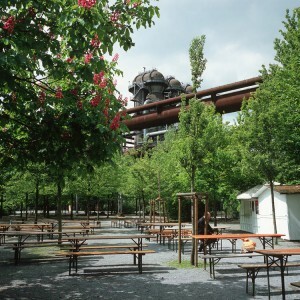 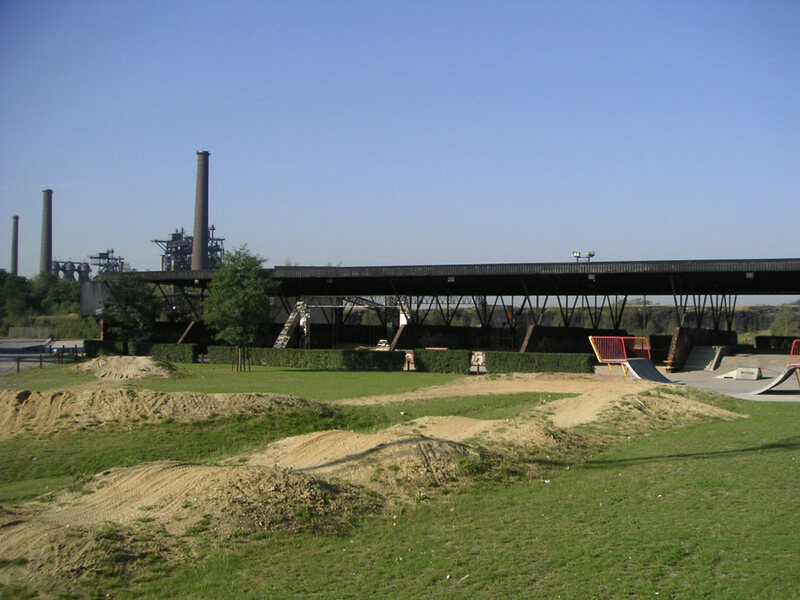 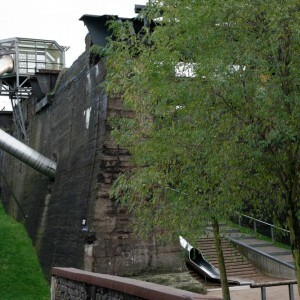 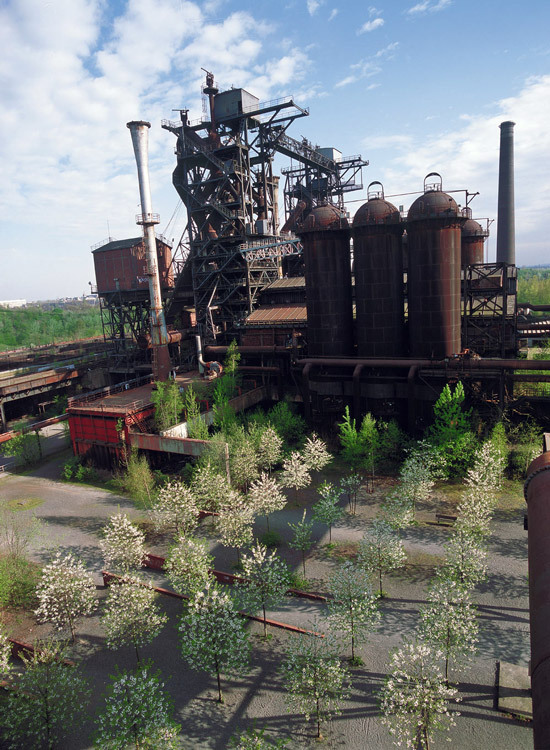 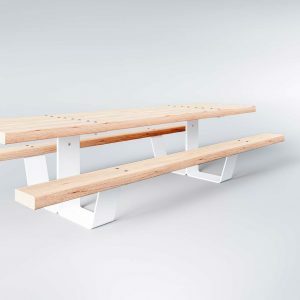 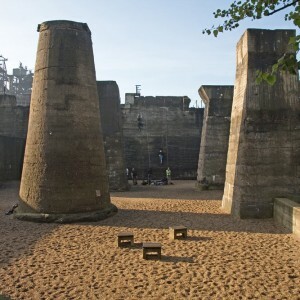 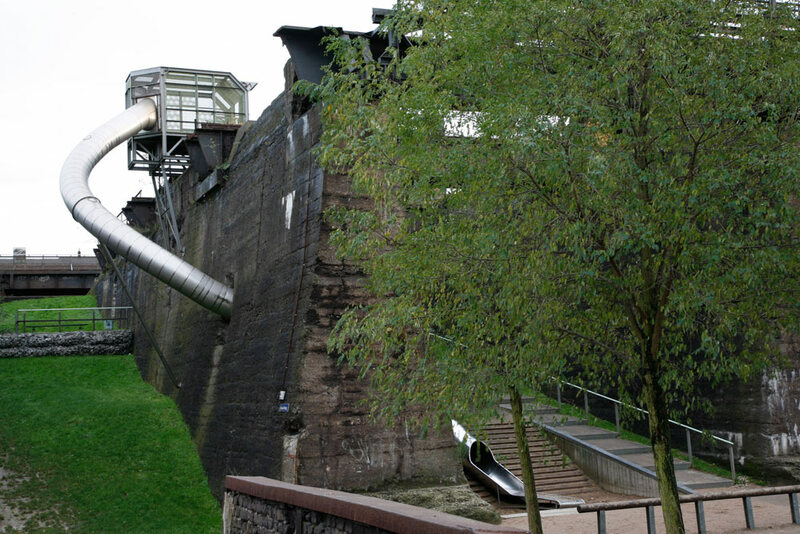 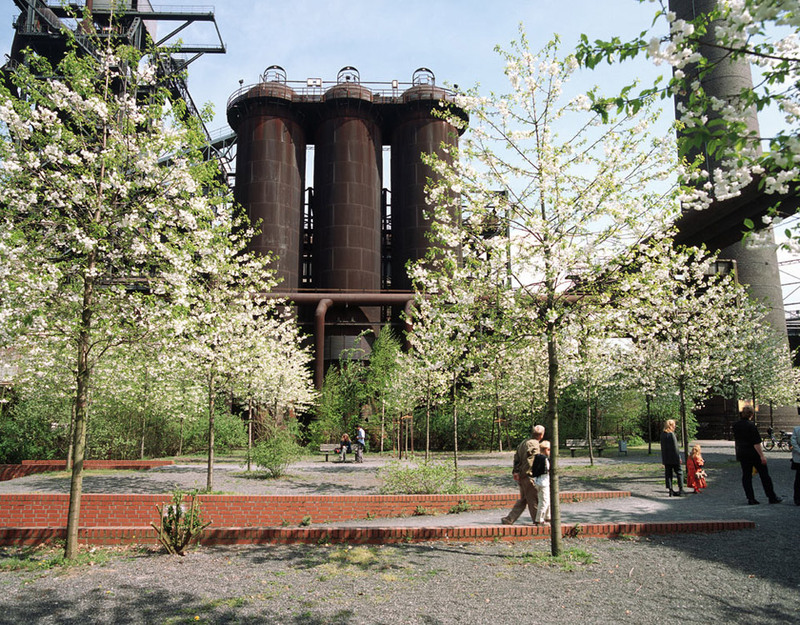 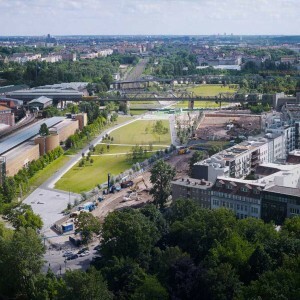 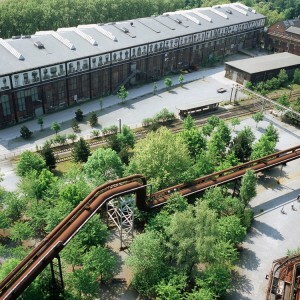 The landscape park Duisburg Nord is one of these projects: The existing patterns and fragments formed by industrial use were taken, developed and re – interpreted with a new syntax, existing fragments were interlaced into a new ”landscape”. 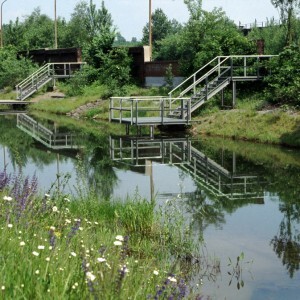 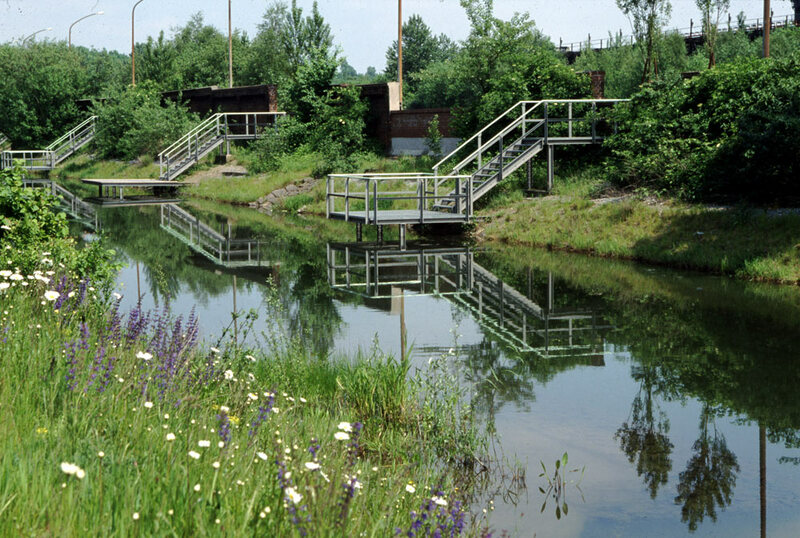 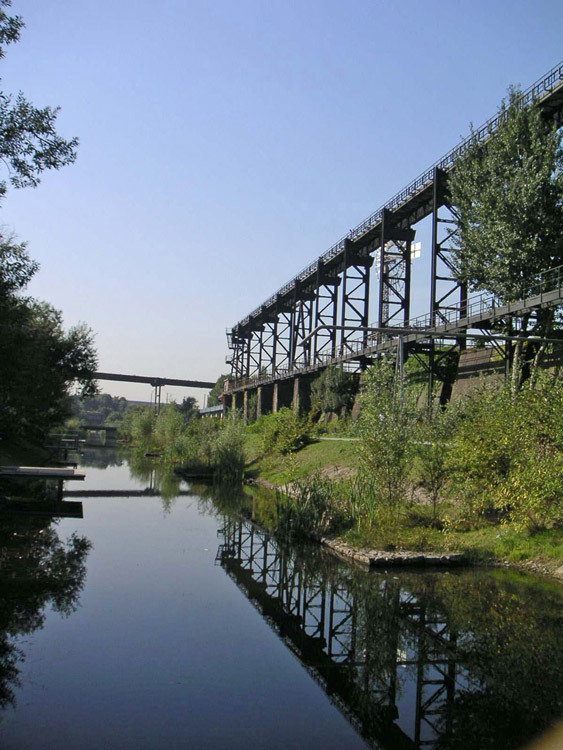 The open waste water canal of the ”Old Emscher”, crossing the park from east to west, was transformed into a clear water canal with bridges and footpaths, exclusively fed by the clear rainwater. 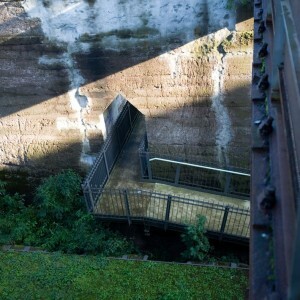 The water channel and the whole water system are an artefact, which aims to restore natural processes in an environment of devastation and distortion. 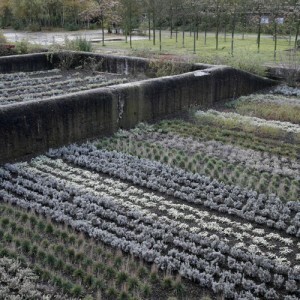 These processes are governed by the rules of ecology, but initiated and maintained by means of technology. 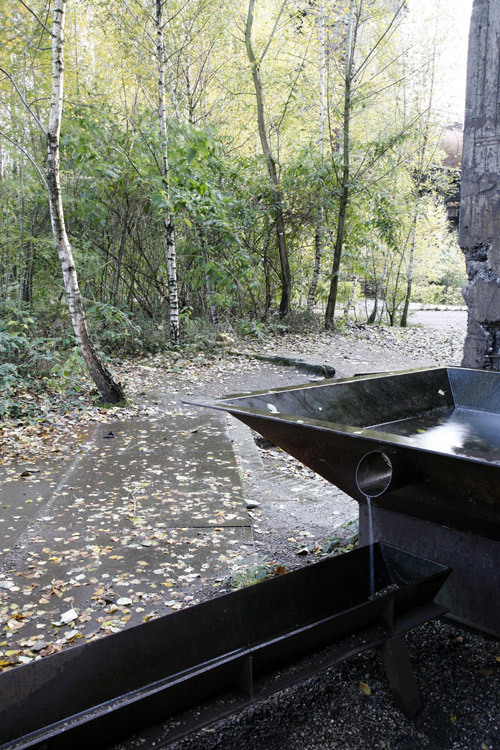 Man uses this artefact as a symbol for nature, but remains in charge of the process. 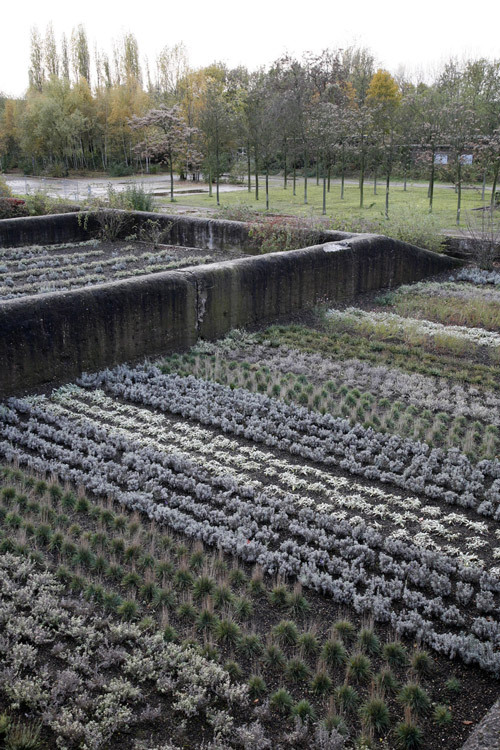 The system is at one and the same time entirely natural and entirely artificial. 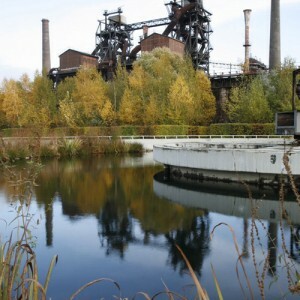 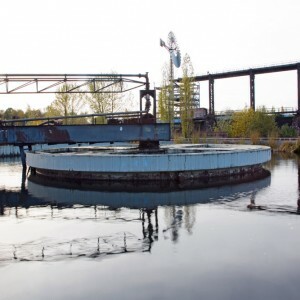 The place of the former sintering plant was heavily contaminated and had to be almost completely demolished. 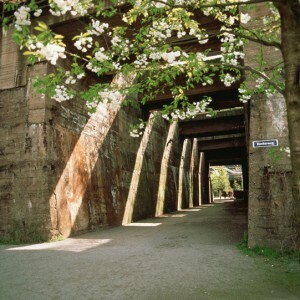 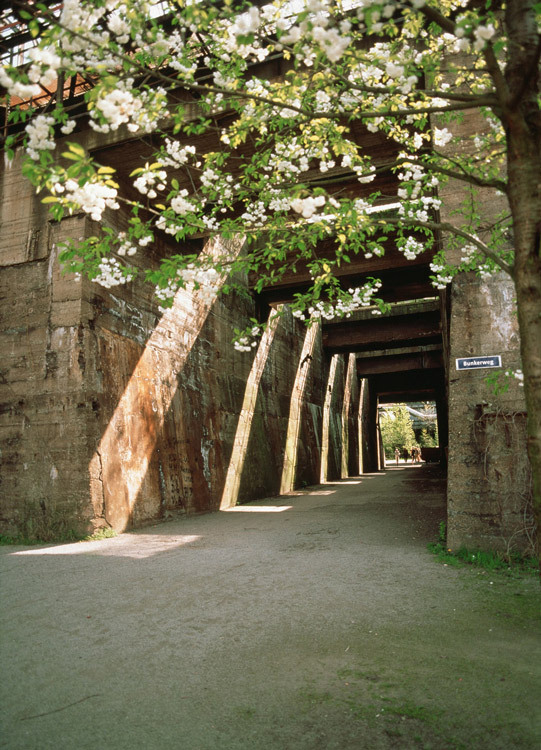 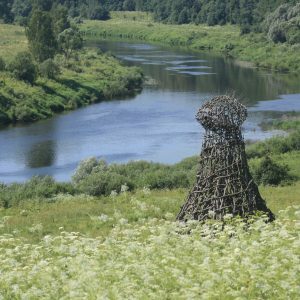 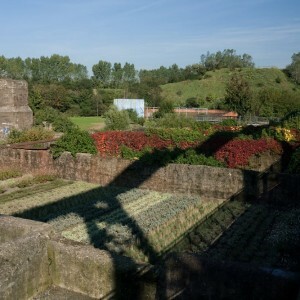 Today it is a flourishing meadow and a shady grove, a huge festival place, framed to the side of the blast furnace plant by the remainders of the former overhead railway and a high level walk. 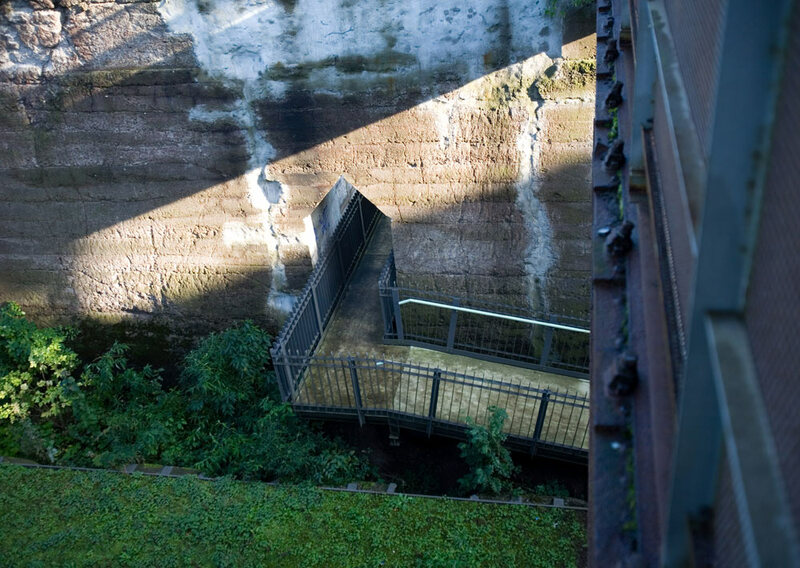 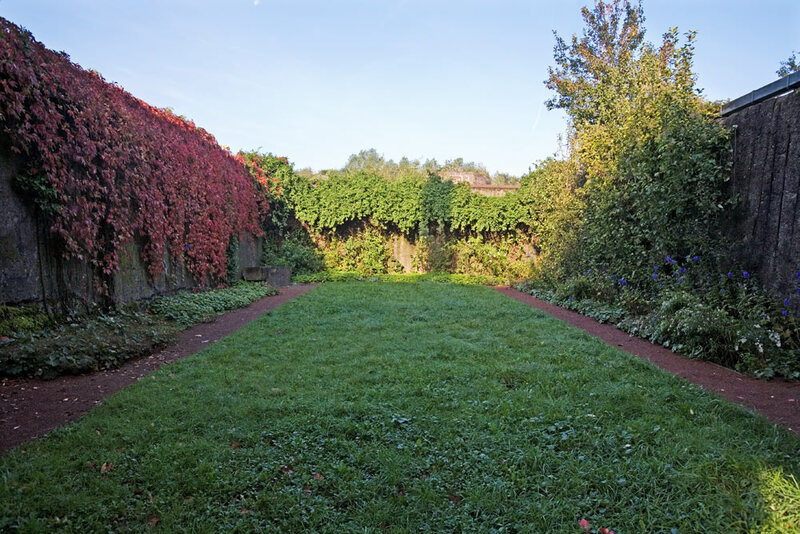 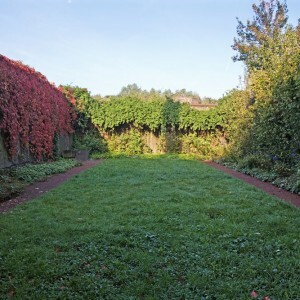 With a length of 300 metres it leads across the bunkers and gives views down into the gardens built at various heights and depths within the bunker site. 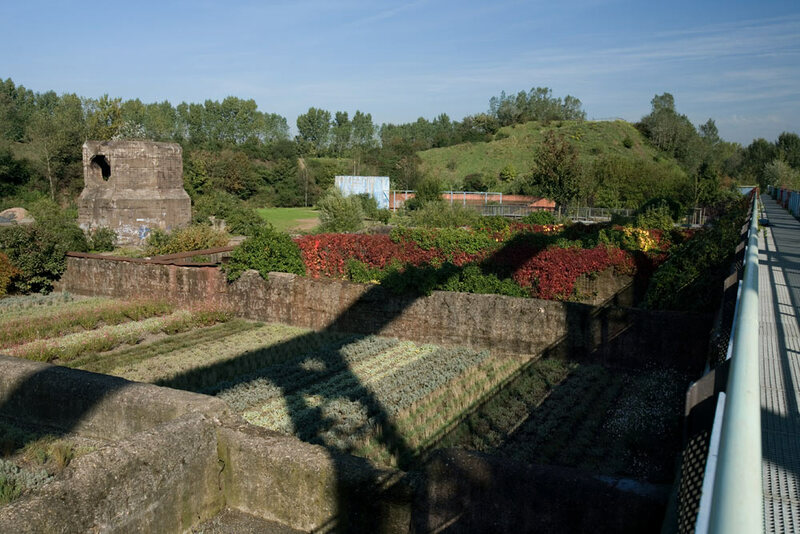 Once filled with ore, coal, lime and ashes, the walls now enclose old pollutants in sealed containers, excavated materials, water or gardens- horti conclusi of great variety and abundance. 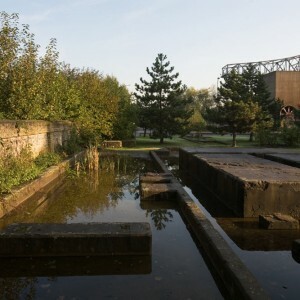 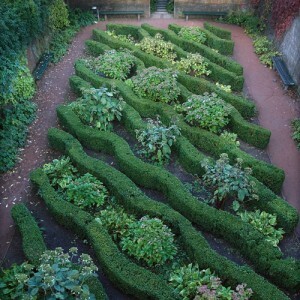 They are places of retreat and contemplation that are so important in a large public park. 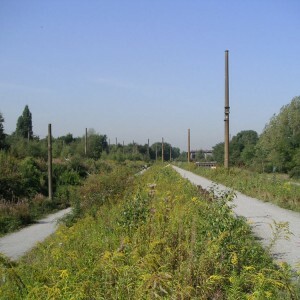 The railway lines, still open or out of operation, are the most continuous connections also in the park. 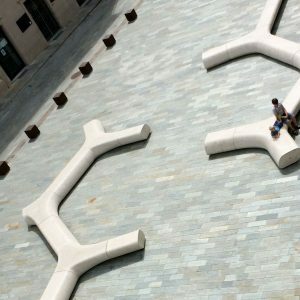 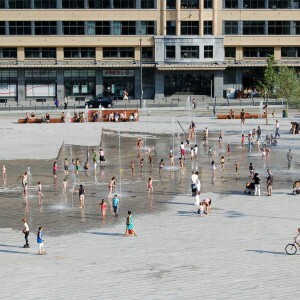 They form a filigree pattern, going deep into the living and working areas of the city quarters. 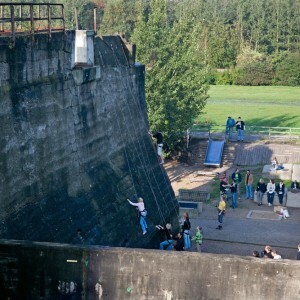 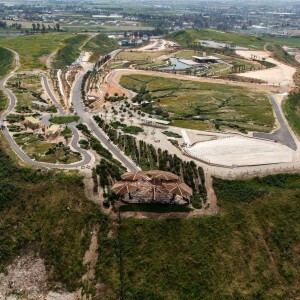 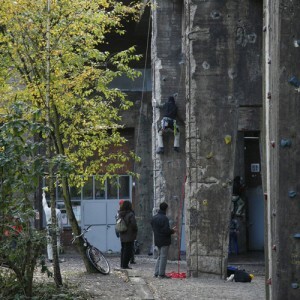 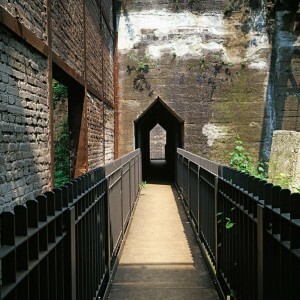 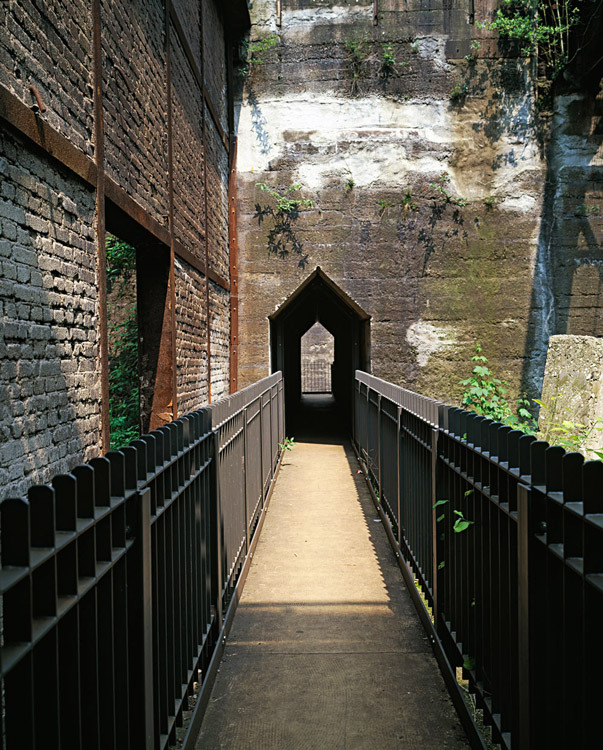 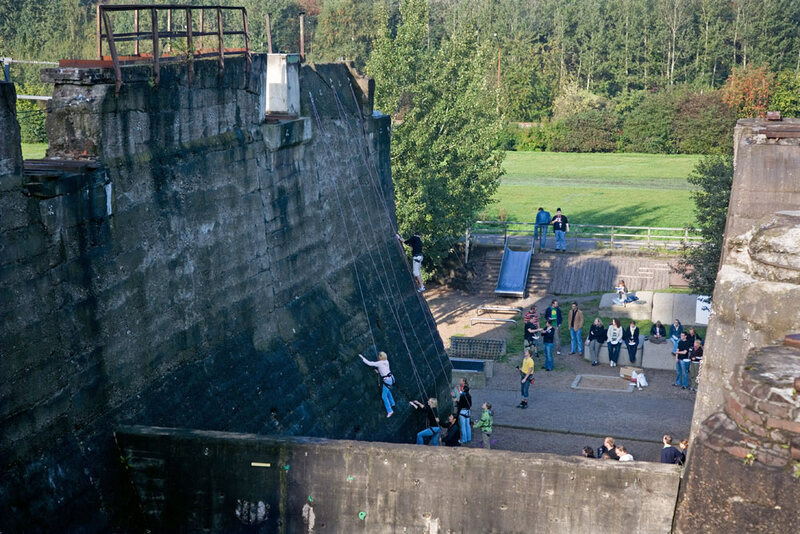 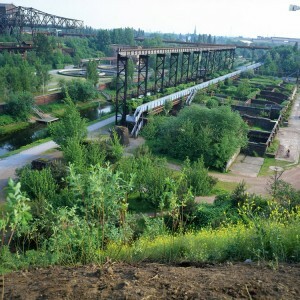 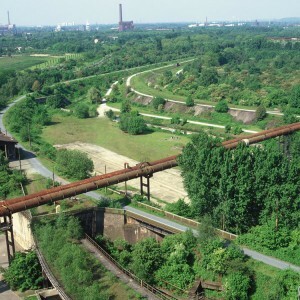 Reaching a height of up to twelve metres, the berms of the railway park offer views, which were never possible before. 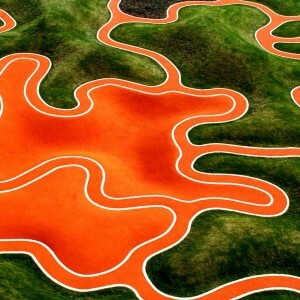 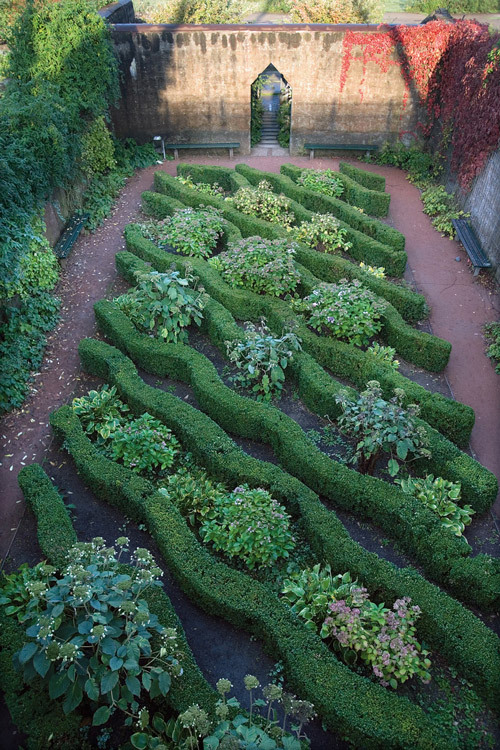 The vegetation immigrated with the ore from distant countries, covers distinct areas between the ribbon–like structures with differentiated forms and colours. 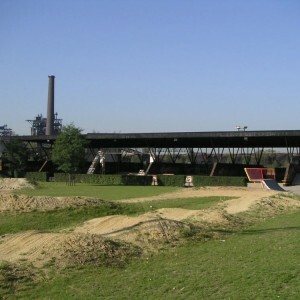 The whole park is a big adventure playground. 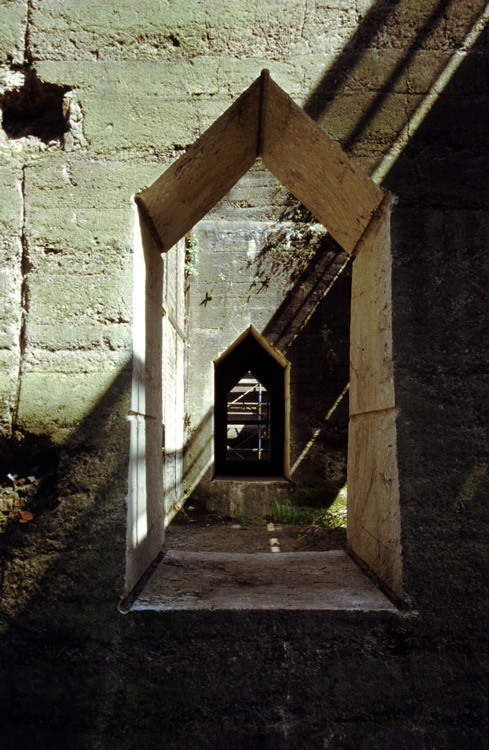 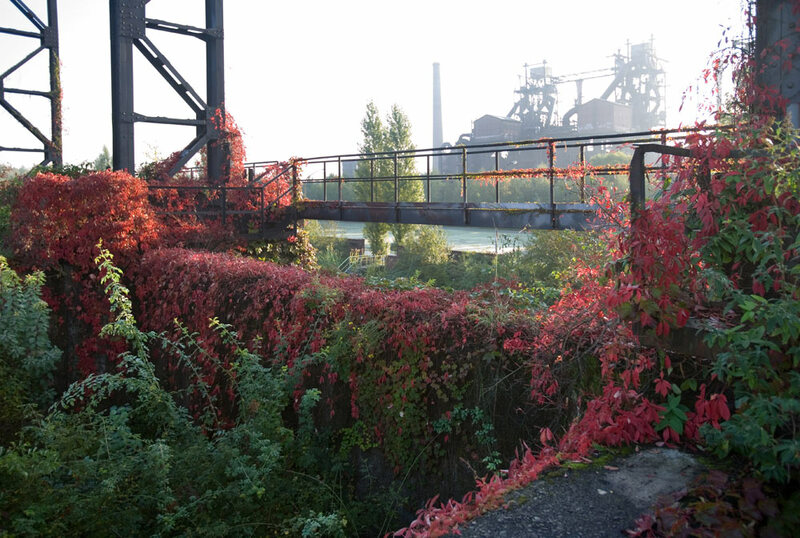 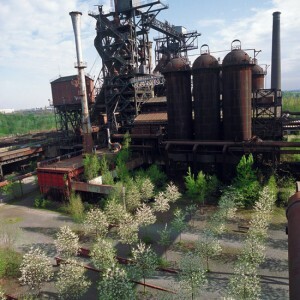 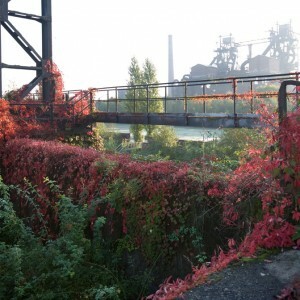 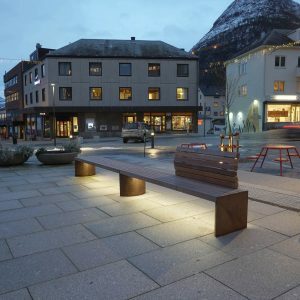 Old industrial structures are transformed by adaptation and new interpretation: Fantasy allows to use them in new ways, to deal with them and to play with them. 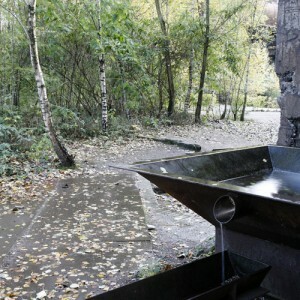 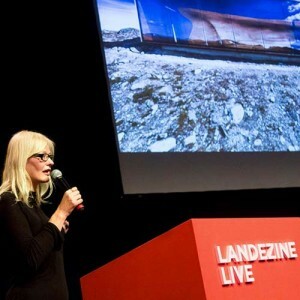 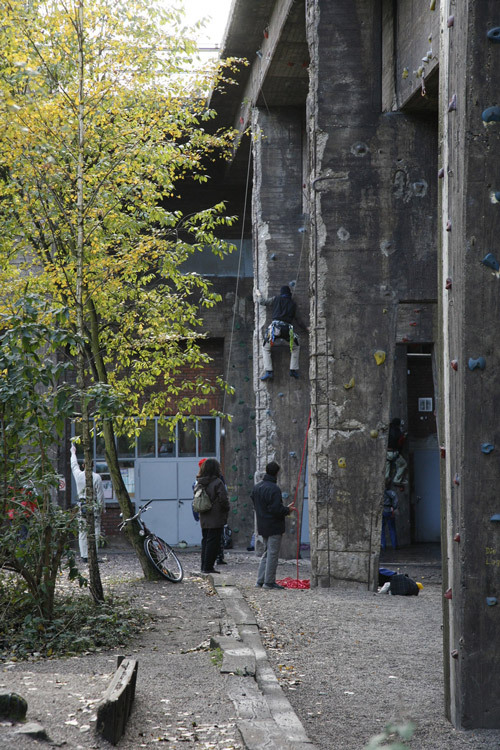 In cooperation with artists and the Lehmbruck Museum in Duisburg we developed the large bunker gallery. 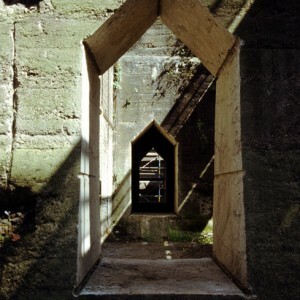 Through openings in the massive walls, paths and footbridges connect the labyrinthine complex. 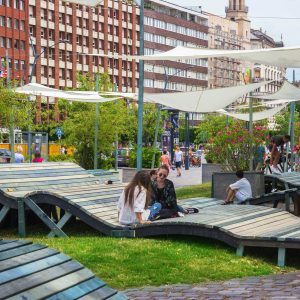 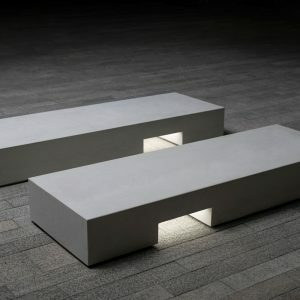 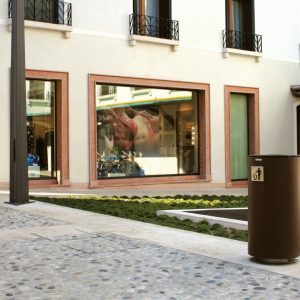 They will lead to artificial gardens with differentiated microclimates, with sound effects and various artistic interventions.